PRP's 52″ GT/S.E. Teryx4 rear bench seat is specifically designed to fit in the back of a Kawasaki Teryx4 and converts your vehicle to a 5 seater. Custom built and shipped in about 3 weeks. PRP’s 52″ GT/S.E. Teryx4 Rear Bench is designed to fit in the back of a Kawasaki Teryx4 and converts your vehicle to a 5 seater. This bench seat gives you the room to put 3 pre-teens or 2 adults and a kid in the back seat. 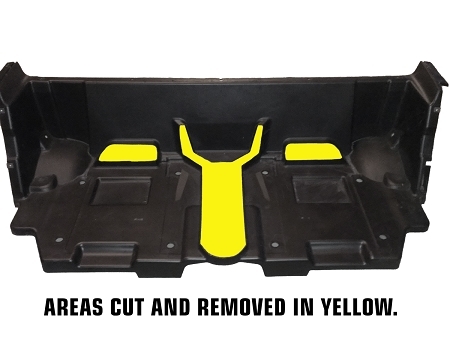 In order to make this bench fit the rear cup holder and some additional materials need to be removed (see images). Mounts included. 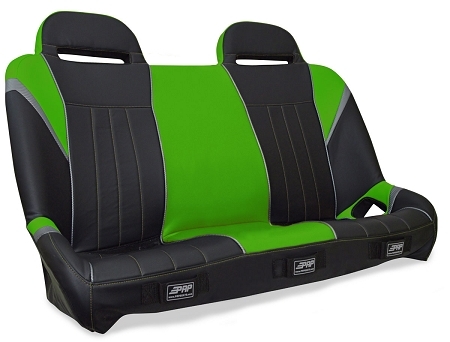 Standard features: 2 square headrests, large neck slots for your 5 point harness, lap belt slots, submarine strap loops for 3 riders. 2 square headrests, large neck slots for your 5 point harness, lap belt slots, submarine strap loops for 3 riders.